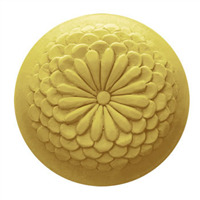 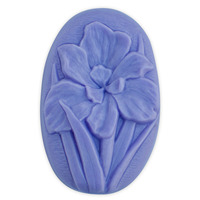 Our Lace Flower Guest Soap Mold is a unique mold perfect for creating floral soaps. 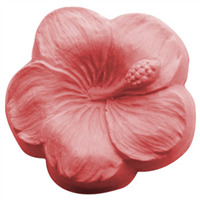 This dainty soap mold is flower shaped with a full flower on the bar draped in lace. 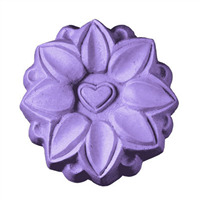 Great for mother's day! 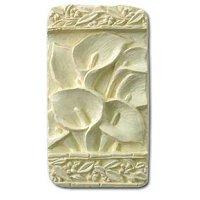 This rustic mold features a beautiful bunch of calla lilies, with a leaf border. 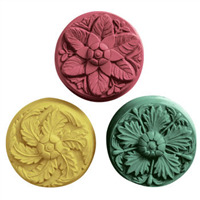 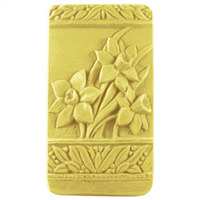 The Lillies Soap Mold is perfect for flower lovers and gardeners. 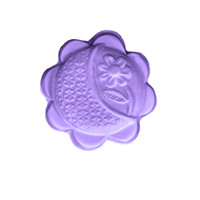 In many Asian cultures, the lotus represents elegance, beauty and purity. 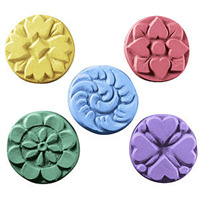 The Lotus Soap Mold unfurls its petals to reveal a little heart right in the middle, making it perfect for Valentine's Day or weddings. 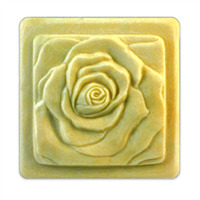 This beautiful blooming rose shows wonderful detail on the petals and leaves. 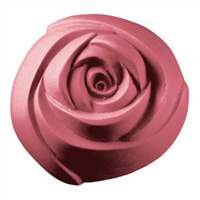 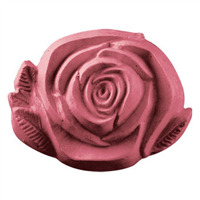 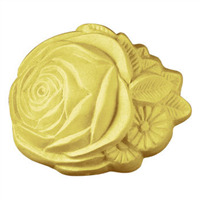 The Guest Rose Soap Mold is perfect for rose water soaps or for Portland guests in town for the Rose Festival! 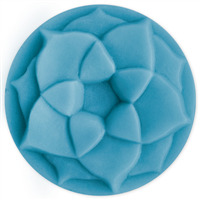 Enjoy a soothing massage while bathing with this beautifully textured leaf design. 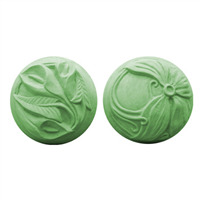 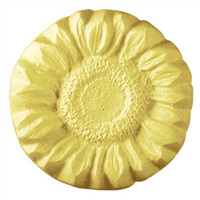 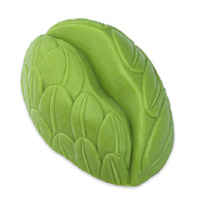 The Sculpted Leaves Soap Mold is crafted in an easy-to-hold, rounded oval shape to deliver a relaxing, soapy experience. 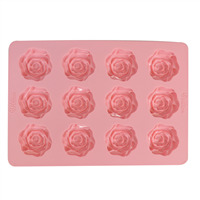 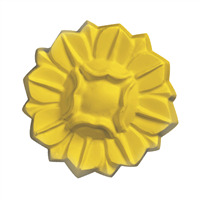 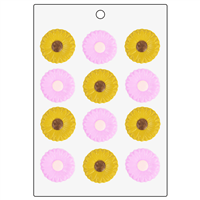 The Simple Flower Soap Mold creates adorable flower shaped soaps, bath bombs or lotion bars. 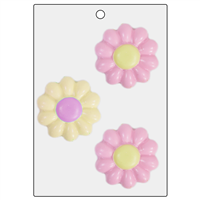 These basic flower designs are perfect for spring lines, baby showers and much more! 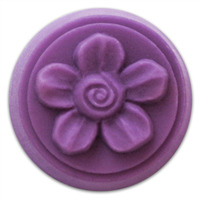 The round Wax Tart Spiral Flower mold is used for making wax tarts for a potpourri or tart burner. 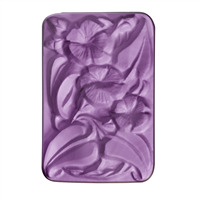 When the scented tart heats up, it fills the room with aroma. 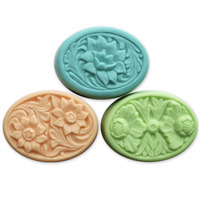 The molds are also great for soaps. 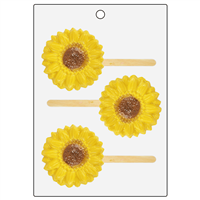 The Sunflower Bubble Stick Mold creates a beautiful bubble wands that are great for summer or any sunflower lover! 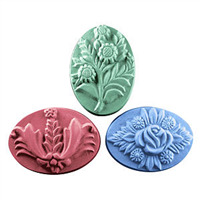 This mold has 3 sunflower cavities with a popsicle stick insert in each, making it perfect for reusable bubble bars/wands. 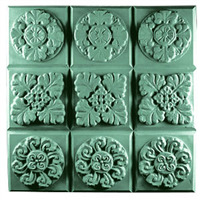 The Victorian Era was a time of great peace and national reform. 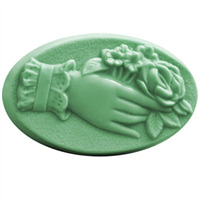 This mold gives a glimpse of the Victorian era depicting a woman's long barrel cuff sleeve gently holding a bouquet of flowers. 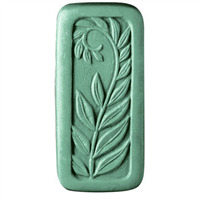 Bar Depth: 7/8" Bar Length: 4 7/8"